Welcome to the Department of Political Science at the University of Central Arkansas! 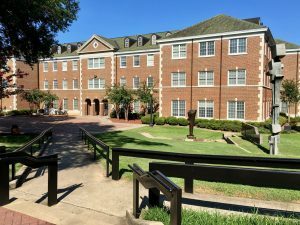 The UCA Department of Political Science – which is home to the political science (BA/BS), public administration (BA/BS), and international studies (BA) programs – is located on the second floor of Irby Hall on the campus of UCA. The department, which was established in 1971, currently includes more than ten full-time, tenured/tenure-track faculty members with expertise in all of the major fields of political science and public administration. The department offers on-campus and online courses during Fall and Spring semesters, as well as during the summer sessions (see 2019 Summer Course Schedule). The primary objective of the department’s political science program is to provide students with the conceptual and analytical tools for understanding political institutions and processes in the United States and other countries, as well as global institutions and processes. The political science curriculum is designed to satisfy the needs of (1) those students choosing to major or minor in political science, public administration, or international studies; (2) those students choosing to major or minor in other fields of study – including Environmental Science, Economics/International Trade, Latin American Studies, Southern & Arkansas Studies, African/African-American Studies, Education, Sociology, and Nursing – for which specific political science courses are either required or electives; and (3) those students who choose political science courses as a part of their general education requirements, specifically American Government & Politics, Introduction to Political Science, and Introduction to International Relations. Courses offered in the political science program deal with a wide range of topics in the following major fields of political science: American government & politics, international relations, comparative politics, political theory, public policy, and public administration. The department also provides students with information regarding a wide variety of internship opportunities, which may be done as a part of the political science degree requirements. In addition to the political science program, the Department of Political Science is also home to the public administration program and international studies program. These programs seek to prepare students for a variety of careers in governmental agencies, non-governmental organizations, and inter-governmental organizations in the U.S. and abroad. The presidential studies minor is also located in the department. For those students interested in pursuing a career in law, the department offers pre-law advising. The department also sponsors a variety of Model United Nations activities throughout the year. We hope that you will find a home in the Department of Political Science! Please feel free to contact the department if you have any questions.